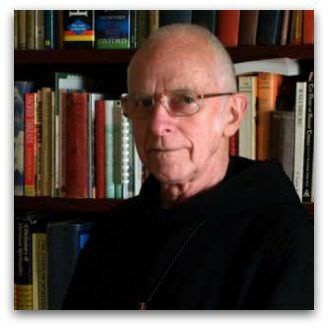 Last week Dom Placid Spearritt, the Abbot of New Norcia Abbey, died suddenly in England. News of his death was set among the daily chronicles of financial collapse around the world. That seemed paradoxical. But to the contemporary eye the life of monks itself is a paradox. Monks travel lightly in terms of possessions, relationships, and measurable achievement. But they are chained for life to church, ceremonies, the daily rule and to a single monastery. For many monks, including Placid, the paradox goes deeper. Their search for God leaves them scanning the horizon knowing that God is always beyond their reach. That intuition led them to become monks. The dress, chant, daily rule, prayers, ceremonies and location are simply blinkers that fix their gaze on the horizon. Placid once said that when he recited the psalms in choir he did not listen to the words, but to the silence between the words. In this, Placid inherited a long tradition tracing back to scholar monks like Evagrius. Like Evagrius in the fourth century, Placid was deeply shaped by his study of late Roman Platonism, with its passion for an unknown God and its conviction that the way to God lies through silence. That lay at the heart of his years teaching at Ampleforth Abbey in England. That was where he died. To be so detached from things that others take so seriously, and constantly to look out to sea in love with what lies beyond the horizon but with no possibility of seeing it, is commonly thought to make you unapproachable, other-worldly and impractical. So it may seem paradoxical that the opposite was true of Placid. His passion for what was enduring and unattainable gave him an astringent eye for any attempt to build castles out of canvas, and a practical interest in what could reasonably be done. He was free from fantasies of greatness and fear of mistakes. After he accepted the request to come to New Norcia, he set out to assure the viability of the sprawling Abbey settlement, closing the school and establishing the farm on a thoroughly professional and environmentally respectful basis. He also set up the splendid Abbey library in a way that opened it to scholars and visitors. He helped make New Norcia the beautiful place that it is. Yet, when asked which vantage point yielded the most attractive view of the Abbey, he wryly answered, 'In the rear vision of the car mirror on the way to Perth'. He was a great conversation partner and friend, at once serious and irreverent. He was not afraid of his own vulnerability and uncertainties, His tolerant observation of the ways in which insecurity breeds certainties encouraged you to be honest when reflecting on your own life. He was a perceptive and faithful companion for many people in their journey to faith. He recognised the many ways in which people journeyed. Placid did not grow up in the Catholic Church. So he came as an outsider to its devotional practices and to the efflorescence of its structure. He was never likely to make a God out of Catholicism. Many people come to monasteries looking for reinforcement of their securities in this apparently traditional Catholic world. Placid took a mischievous delight in relieving them of their illusions and in introducing them to the austere trust that lies at the heart of the monastic life. In an address to a conference on spirituality he was asked to speak on the spirituality of the early church. His definition of the early church as the church of the first ten millennia gave him ample space to tease current certainties. The paradox of Placid's life does not lie in the monk being worldly wise, effective, and an enduring friend, but in people expecting that it would be otherwise. After all, to have your eye fixed beyond the horizon, with the detached tolerance that this enjoins for human achievement, ambition, institutions and fine words, makes one more able to see the reality of people and to their enterprises. That is a good starting point when doing business. So Placid Spearritt's sudden death in the midst of the current financial crisis is not paradoxical. The financial crisis has exposed vanities and myopia. Death is the end of vanity, the time when the horizon opens in welcome. The conjunction illuminates both Placid's calling and the world in which he lived. Placid Spearritt OSB died on Saturday 4 October at the age of 75. Andrew Hamilton is the consulting editor for Eureka Street. He also teaches at the United Faculty of Theology in Melbourne. A truly beautiful tribute and so well written. Thank you Andrew for your thoughtful and thought provoking article on Dom Placid. A truly remarkable, holy imp of a man, who will be sadly missed by all. I am becomong an avid fan of Andrew Hamilton's reflections. Thank you for carrying me beyond the immediate anxieties of financial concerns to a mental space of enduring values. Placid would smile knowingly in agreement: the life of a monk points to eternal values that put in perspective other real yet passing worries. Once again Andrew thank you. Thanks Andrew for this perceptive look and wonderful man. I can see Placid in many of the things you write and journey to New Norcia in future will be tinged with the sadness of knowing his wit and willingness to challenge won't be there. As humans, we can all be contemplatives - if we really want to. It seems that Placid lived a Christian and contemplative way as a Monk. Being a Monk is not the only way to live a contemplative life. Many of us attempt this contemplative way, a way of silence and emerging truth, in the ordinariness of ordinary lives. We do not go to live in a monastery. We attempt it in the cacophony of distraction that is 'normal' living. Many more humans could do this. If the contemplative way was lived genuinely by more people in the everyday, then this everyday may just become a more and more honest place, with many of us more comfortable with insecurity. The transformation of society, rather than just an increase in monastery numbers, may be the result. Thanks Andy for such a great and insightful eulogy of a great and insightful man. I remember Placid speaking about the role of Abbot as being the representative of Christ to the community of monks, and how his model for what 'christlikeness' looked like came from Phil 2:5-11. He took this very seriously, and I have witnessed him practising this brand of servant leadership. I look up to him as a role model of leadership for my own ministry. Amid the sadness surrounding Placid's sudden death, I can't help but smile at the thought that his death was consistent with his life: straight to the point, and no mucking about. Thank you very much for this article. My PhD studies required me to spend many weeks and months at New Norcia. Placid was always welcoming, jolly and hospitable. Each time I returned to New Norcia I was given the opportunity to witness Placid's search for the beyond whilst having one's feet firmly nailed to the ground. I shall miss such a wonderful friend and mentor. A well written, thought provoking and faithful tribute. An interesting paradox also that Fr Placid died at Ampleforth Abbey where he spent 25 years as monk and Prior. Thank you Andrew. A beautiful and inspiring piece of writing that puts everything in perspective. Thank God for lives such as his. What a beautiful tribute to Abbott Placid. His humour will never be forgotten and neither will his simple but profound depths of his homilies. For me he was an example of what Chapter 7 of the Rule of Benedict is about. It can be hard to spot the villain in a Coen Brothers movie. The ill-fated scheme at the heart of their latest comedy is instigated by Linda, an endearingly goofy gym employee who longs to be able to afford cosmetic surgery.